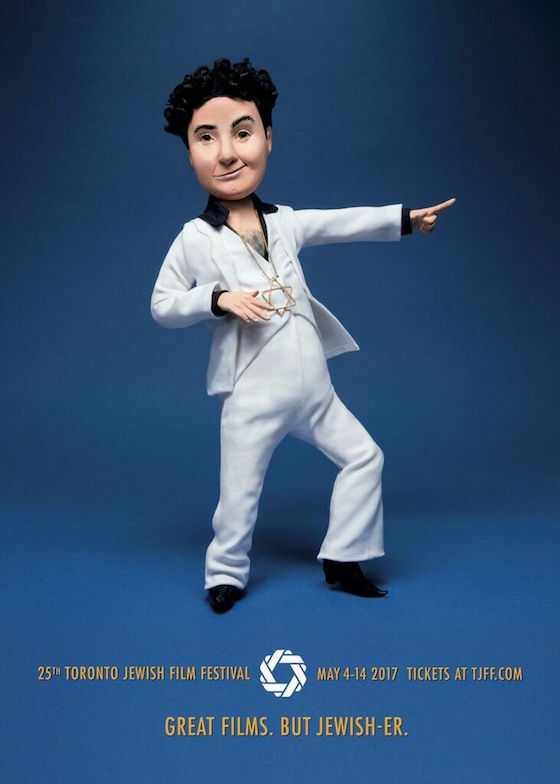 We're mere weeks away from the launch of the 25th edition of the Toronto Jewish Film Festival. After a flurry of preparation, organizers have now made the event's entire lineup live. The fest has programmed a truly massive lineup packed with highlights. Among them are screenings of Eran Kolirin's Beyond the Mountains and Hills, Ate de Jong and Emily Harris' Love is Thicker Than Water, Eyal Halfon's The 90 Minute War, Joshua Z Weinstein's Menashe, Maria Schrader's Stefan Zweig: Farewell to Europe and Asaph Polonsky's One Week and a Day. The festival will also offer a special tribute to Israeli filmmaker Dan Wolman. In addition to his recent film An Israeli Love Story, the fest will present his old films My Michael (1976) and Hide and Seek (1980). There are also plenty of documentaries, including Trevor Graham's Monsieur Mayonnaise, Lilly Rivlin's Heather Booth: Changing the World, Chen Shelach's Praise the Lard, Robert Philipson's Body & Soul: An American Bridge, Sam Blair and Joseph Martin's Keep Quiet, Jeff Zapata and Joe Simko's 30 Years of Garbage: The Garbage Pail Kids Story and Ami Drozd's Scandal in Ivansk. That's barely scratching the surface. To dig into TJFF's rich lineup and to purchase tickets, go here. The festival runs from May 4 to 14. Venues for the festival include Cineplex Cinemas Empress Walk, Famous Players Canada Square Cinemas, Hot Docs Ted Rogers Cinema, Innis Town Hall, The Spadina Theatre at Alliance Française, The Royal Cinema and Cineplex Cinemas Varsity and VIP.